A rare find in Fayette county!! 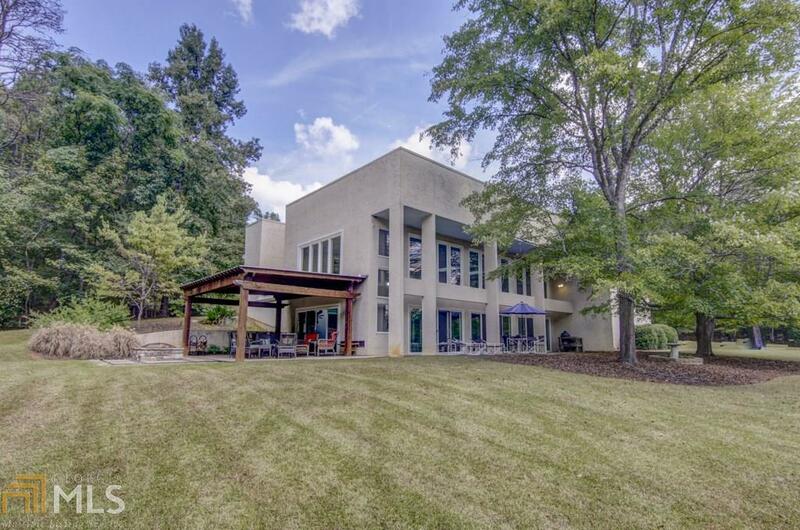 Gorgeous contemporary home on 5 acres just minutes from PTC. Convenient to shopping, hospital, and Pinewood studio, this beauty has it all. With 4 large bedrooms (master on the main), 3.5 baths, 2-story family room, formal dining, office with wet-bar & built-in bookshelves, you will never have to leave home. You can vacation by the spa-like indoor exercise pool and jacuzzi which are solar heated for year-round use. Additionally, there is an attached 3 car garage PLUS an adjoining workshop that is any man&apos;s dream. Upgrades include new Pella windows, new kitchen appliances, covered outside deck with firepit, and large outside storage building. Directions: From Hwy 54 In Ptc Go South On Ebenezer Rd. To Left On Ebenezer Church Rd. Go 2 Miles To Bridger Point Subdivision. Left Into Bridger Point. Home Is 1st One On The Left.